Is your laptop noisy or making grinding noise? If this is the case you will need your laptop serviced as soon as possible. If the laptop fan is not serviced, the components on the motherboard can be damaged. Main components that can be affected due to fan failure are NVIDIA graphic chipset, ATI graphic chipset and Intel graphic chipset. This can be very costly and sometimes the motherboard would require a replacement. To avoid unnecessary expenses get your laptop fan repaired or replaced. Ways to avoid laptop fan repair and fan replacement? Do not put your laptop on soft surfaces for long periods of time such as having it on your bed or on the carpet on the floor. 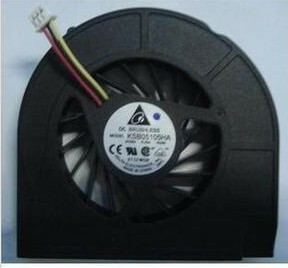 This can collect a lot of dust which builds up in the air vents and cooling system of the laptop; this interferes with the laptop fan and the dirt stops the fan from spinning properly or slows it down and hence you start having a grinding noise. What brands of laptops fan we fix? Innovative IT repairs all major laptop brands: Advent, Alienware, Acer, Apple, Dell, Compaq, Fujitsu Siemens, HP, Toshiba and Sony. How much does a laptop fan repair cost? The average price for a laptop fan repair or laptop fan replacement service is from £79.00 to £135.00 including labour and parts. Prices exclude VAT. How do I get my laptop fan fixed? Simply give us a call on 020 7394 2525 or send us and email us at info@innovativeit.co.uk to book an appointment for high-quality laptop fan repair or laptop fan replacement service. We are open 6 days a week including bank holidays from 9am to 6pm excluding Sundays. If you are driving in to us we offer free parking and we are out of the congestion zone. If you are coming by a public transport just visit www.tfl.gov.uk. The closest land mark for London underground is London Bridge, Borough or Elephant and Castle.